Following the news of Sir Roger Moores death on 23rd May 2017, we pay tribute to his legendary film and TV characters – along with the iconic classic cars he drove during this era. The well-known actor came from an era when movie stars portrayed a glamorous and elegant lifestyle; from they way they dressed to the luxurious cars they drove. In the memory of Sir Roger Moore, we capture his most excellent car moments. 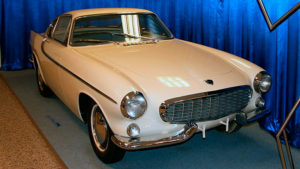 Firstly, his most famous pre-bond car was the white Volvo P1800 coupe, which he drove during his role in ‘The Saint’, which led to his worldwide fame playing James Bond. 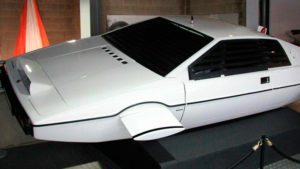 Next, was the Lotus Esprit from ‘The Spy who Loved me’, whether in Submarine mode or outrunning the villains of the 007 film. The Esprit to Sir Moore was what the Aston Martin DB5 was to Sir Sean Connery – an Iconic car that captured the attention and imagination of many enthusiasts. 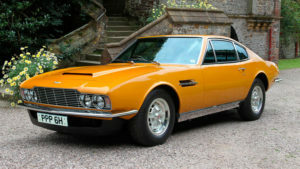 Sir Roger was also highly known for his role in ‘The Persuaders!’ where his legendary car was the Aston Martin DBS. The show was also known for the Ferrari Dino – and in the first episode was the race to the hatch, where both cars were displayed with such force and power – another Iconic Hollywood moment. 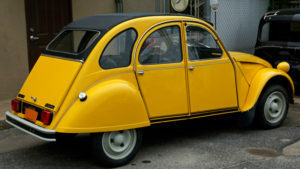 The Mimosa yellow Citroen 2CV was all that was needed in the 007 film ‘For Your Eyes Only’, to outrun the Henchman’s Peugeot 504s, as they went through the Spanish hills. 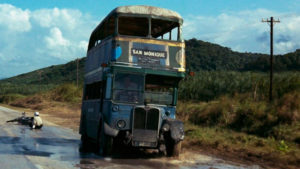 Lest we forget the time Sir Moore took the wheel of the Double Decker AEC Regent in ‘Live and Let Die’- his first outgoing at 007, where he took a less elegant approach, by dismissing the vodka martinis, taking up safari patterned shirts. Although technically not a car, it is a memorable moment from his time served as James Bond, as he took the roof off to make it a single Decker to improve its performance (and to fit under a bridge). 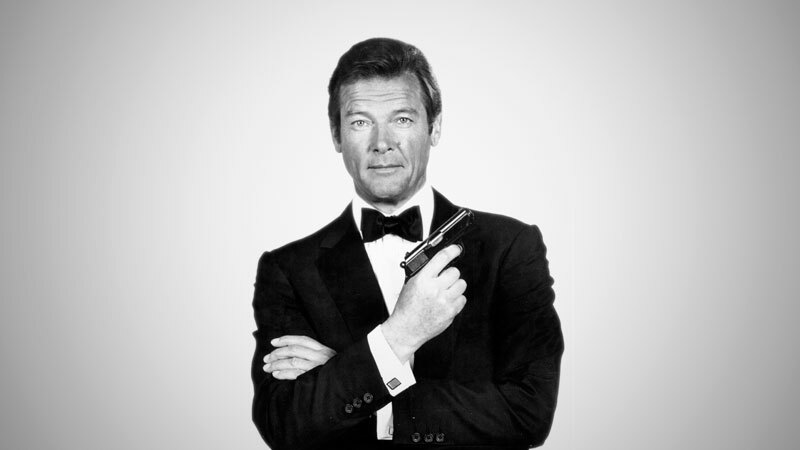 Sir Roger Moore played James Bond more times than any other actor to date – from 1973- 1985, a role that lasted 7 movies. The role included many cool cars, including, the Lotus Esprits, Alfa Romeo GTV 6, AMC Hornet and a Renault 11, along with the above mentioned cars. His film roles were iconic and heroic, and yesterday the actor took his final bow. We say Farewell to Sir Roger Moore, but his legendary life will live on, along with the famous cars he drove that will remain in history always.